A London court has upheld a conviction against a far-right musician, which anti-Semitism campaigners say has set a precedent for future convictions of Holocaust deniers in the UK. Judge Christopher Hehir upheld the conviction of Alison Chabloz, who was found guilty at Westminster Magistrates Court in London last year of three counts of sending grossly offensive communications via a public communications network. She posted three self-penned songs to social media in which she denounced a supposed Jewish conspiracy to dominate the world and denied the Holocaust. 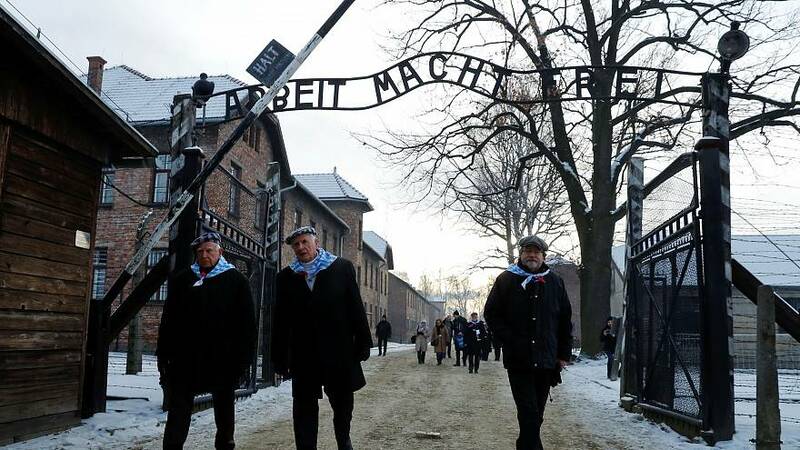 The Campaign Against Antisemitism says the case “effectively delivered a landmark precedent verdict on incitement on social media and on whether the law considers Holocaust denial to be 'grossly offensive'”. Although some European countries, such as Germany, have laws specifically outlawing denying the existence of the genocide there is no specific law outlawing it in the UK. An estimated six million Jewish people were murdered by the Nazi regime during the Second World War. Chabloz, from Glossop in Derbyshire, pleaded not guilty in court. She said was a “revisionist” who believed the number of Jewish people killed during the Holocaust was much smaller than reported in the "mainstream media" and denied the existence of death camps. She was originally given a 20-week prison sentence suspended for two years along with 180 hours of unpaid community service and a ban from social media for a year. The London-based Campaign Against Antisemitism, which works on behalf of British Jews, originally brought a private prosecution against Chabloz. which was then taken up by the Crown Prosecution Service. Campaign Against Antisemitism’s spokesman, Gideon Falter, said: “This is the first conviction in the UK over Holocaust denial on social media. The Crown Court is a court of record, meaning that its judgement upholding the previous Magistrates’ Court decision sets a new precedent in British law.